WILLIAM THURGOOD (24 Jan 1836 – 23 Aug 1882) was born in London, Surrey, England the son of Samuel Thurgood and Elizabeth Worvill. William became ill in the summer of 1882 and died on 23 Aug 182. He is buried in the Bountiful City Cemetery, Bountiful, Davis County, Utah. William Thurgood was born in Camberwell, London, England on Jan 24, 1836. His parents were Samuel Thurgood of Hatfield, near Chelmsford, Essex, England; his mother Elizabeth Worville was of the same place. All of this family was born at this same place. His brothers and sisters were Thomas Thurgood, William Thurgood, Samuel Thurgood, John Thurgood, Elizabeth and Sarah. William Thurgood had but four years of schooling and was then taken out to help proved for the family. Being a good student, he later studied and obtained and excellent education. He took up Bookkeeping, Law, Medicine, Shorthand, Probate work and Agriculture. At the age of fourteen years he was converted and baptized to the Church of Jesus Christ of Latter-Day-Saints. In a few years he was called on a mission to the Channel Islands, comprising Jersey, Guernsey, Alderney and Orkney Islands. Each island had a breed of cattle named after it on which they lived. Their owners were very careful to keep their lines straight which they have done for hundreds of years and they still do it now. He stayed on this mission for 23 months. 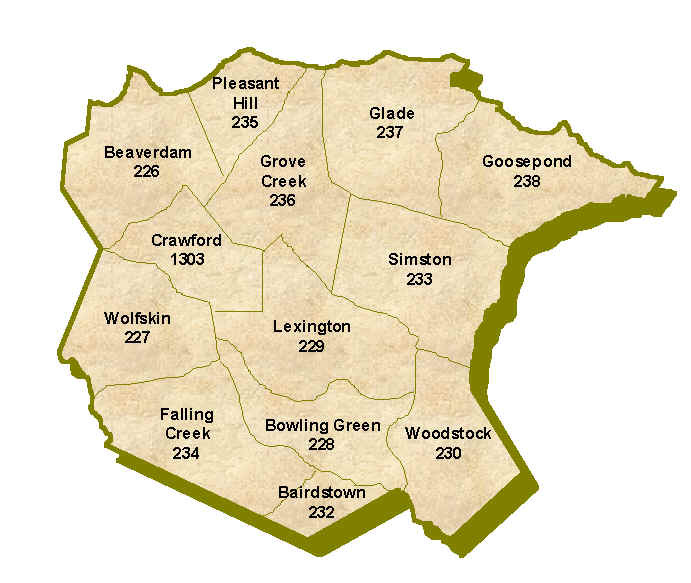 Then on Feb 1, 1858, he was called on a second mission to Southampton Pastorate and stayed until Jan 3, 1859. His third mission was the Birmingham Mission in England for four months. His fourth mission was to Worcester from Feb 17, 1860 to Feb 20, 1861. 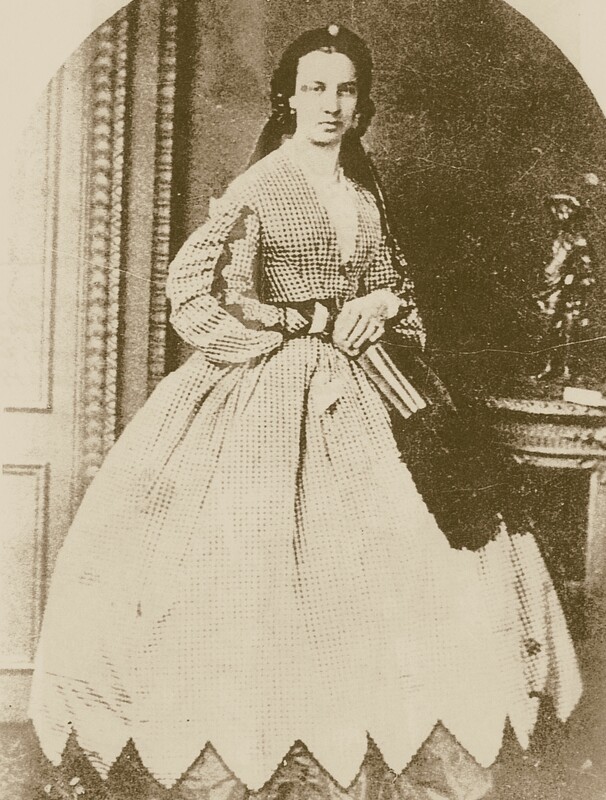 It was on this mission that he met, converted and baptized Emma Lavinia Yeates and her sister Annie Yeates. He had a glorious life of great usefulness. He cared for and prescribed for the sick and dying. Through his reading and studying he was one of the best educated men in Davis County in Law, Medicine, Shorthand, Probate Work, Farming, Agriculture and Bookkeeping. William Thurgood came to Utah in 1853. He was chosen Captain of his Company. He had many duties and helped many poor souls on their way to Utah. He brought Emma Lavinia Yeates and her sister Annie, to Utah in his company. He married Emma Lavinia Yeates on July 13,1865, in the old Endowment House. To them were born, Eva Lavinia, Amy Maud, William, John Edward, Rowland, Lillian Elizabeth and Annie. 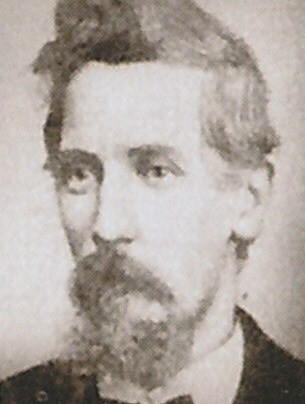 William Thurgood was President of the Bountiful Co-Operative Mercantile Co., from the beginning of the store until his death. He helped build the Bountiful Tabernacle. On its completion, he bought and furnished all the lamps to light the building. He was first Counselor to Bishop Anson Call until his death. They both made many visits to the sick and dying. He would make up large baskets of groceries and cloth for clothing and take along with him. 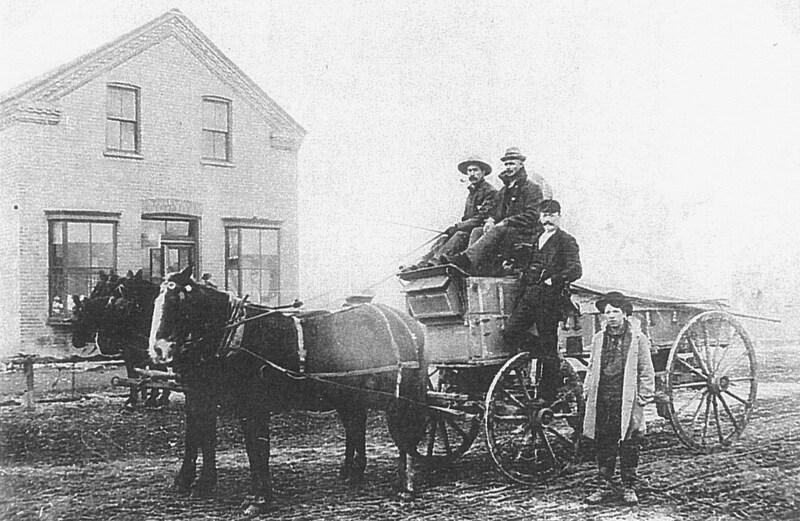 William Thurgood (standing on wagon wheel) with customers out front of the Bountiful Co-Op Merchantile. William was the President and Manager of the Co-Op until his death. The old home is still standing on the west side of the Highway 91 in West Bountiful. The store lasted many years after he passed away but finally burned down. He took sick with very bad pains in his stomach and passed away on August 23, 1882. He was buried in Bountiful, Utah. 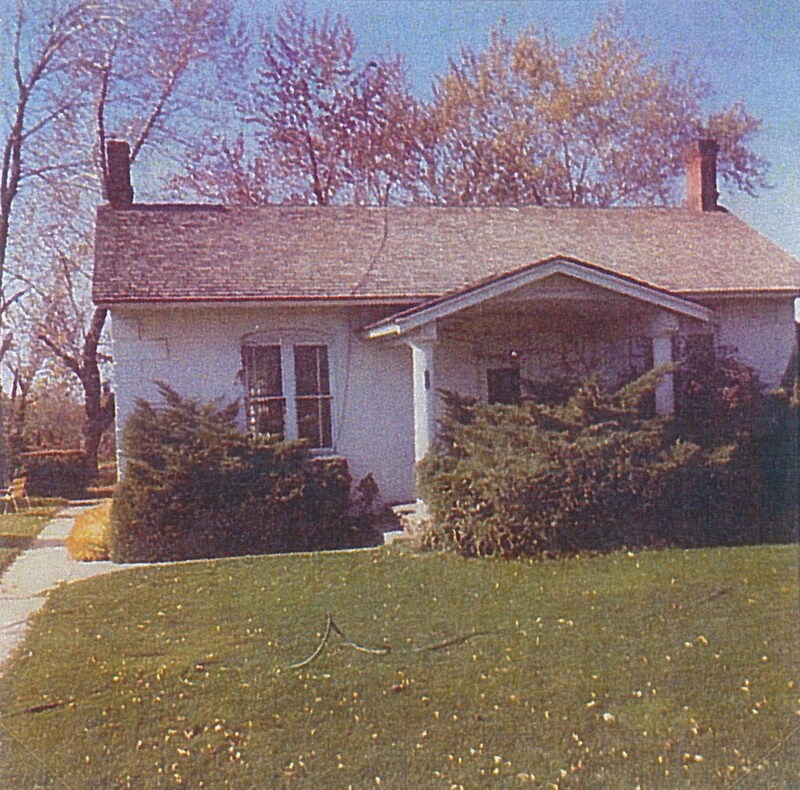 Brigham Young used to stay at their home when he came to Bountiful. He blessed Grandmother because she was such a good cook and gave to so many people. I am writing a brief sketch of the life of our father, William Thurgood, which I trust you will appreciate as you were born only a few years (about six) before his death in Bountiful August 23, 1882. William Thurgood was born in Camberwell County, London City, England, January 24, 1836. We call Camberwell part of London which I visited when on my Mission and had my picture taken with Father’s sister –Sara Thurgood Beales. We posed so as to obtain a photograph of the home and part of a long terrace of homes. The home in which he was born had been renewed but most of the Terrace looked as it did while father was there. Camberwell Green (a large diagonal lawn) totally surrounded by cobble rock streets upon which carts drawn by horses and children clattered along making it a very noisy thoroughfare or street as we now call them. He was the second child of a family of seven one of which, the last born was a still born daughter and not given a name. Aunt Sarah said she could see him yet as a lad running across the street to the rigidly strict school in a little green suit. His schooling did not last long as his father having died he (William Thurgood) was compelled to help earn the living for the family. Uncle Thomas Thurgood who was older than he had married quite young leaving the burden on his mother and the younger part of the family. I think I will never forget the forlorn look of Aunt Sarah as she came out onto the street to get the Terrace as a background she was the only one of the family over there and looked and felt forlorn. The dear soul, with her large black eyes has gone to the great beyond and doubtless was and is now happy over there. Father, she said, went to school only three or four years, but as we know now he was at the time of his death one of the educated men in Davis County. Indeed, he was a Physician, Bookkeeper, a Notary Public, a farmer and was nominated for Probate Judge and would have been elected in November but he died in August. So we owe to him our greatest honors for his splendid advancement and his numerous activities in Church and State affairs and business acumen, and we might add his great devotion to home, State and Church. He kept the Tithing records for Bro. Chester Call, and Lafayette Buckland once said to me when your father died Anson Call lost his right hand man and seemed never to make a dollar after father’s death. It was according to his vision, dream or revelation in the year 1882 that he feared much and in order to better fortify himself he took a trip in August 1882 to Chesterfield, Idaho. Returning home mother cooked some green corn, and eating this he soon became violently ill and after a few weeks suffering he passed on. Probably if we could determine the cause of his death it was Appendicitis that caused him to die. We called it inflammation of the bowels. Possible a kernel or more of corn entered his Appendix and cause his death. We do not know but this seems highly probable. Dear Brother,–As I am about to leave this my native land to gather to the bosom of the Church in the west, I have seated myself to give you a brief account of my labors, which have extended a little over seven years. My first Mission, taken in 1856, was to the Channel Islands, where I labored two years. I was appointed in March, 1858, to the Southampton Conference, where I labored ten months, and the subsequent four years in the Cheltenham and Worcester Conferences. In these Conferences, as in all others where I have traveled, I have found many friends whose acts of kindness, at least while memory lasts, will not be forgotten by me. I trust that each of them will accept my best thanks for all favors received, and I pray that Heaven’s blessings may attend them. In bidding them adieu, I realize that I leave many who have proven themselves worthy of the appellation, friend, by years of uniform kindness. This gives rise to feelings of sorrow, and especially when I reflect that they long for the privilege of gathering to Zion, that they may spend their strength in building her up and in making her more powerful on the earth. To-day, their strength is being spent in building up kingdoms that will perish; while if in Zion, and they pursued the right course, they would be spending their strength in building up a kingdom which is destined to be as permanent as the throne of God. May Heaven grant that they may soon get there. William Thurgood home in West Bountiful. The home was located on the west side of Hwy 91 and is no longer standing. 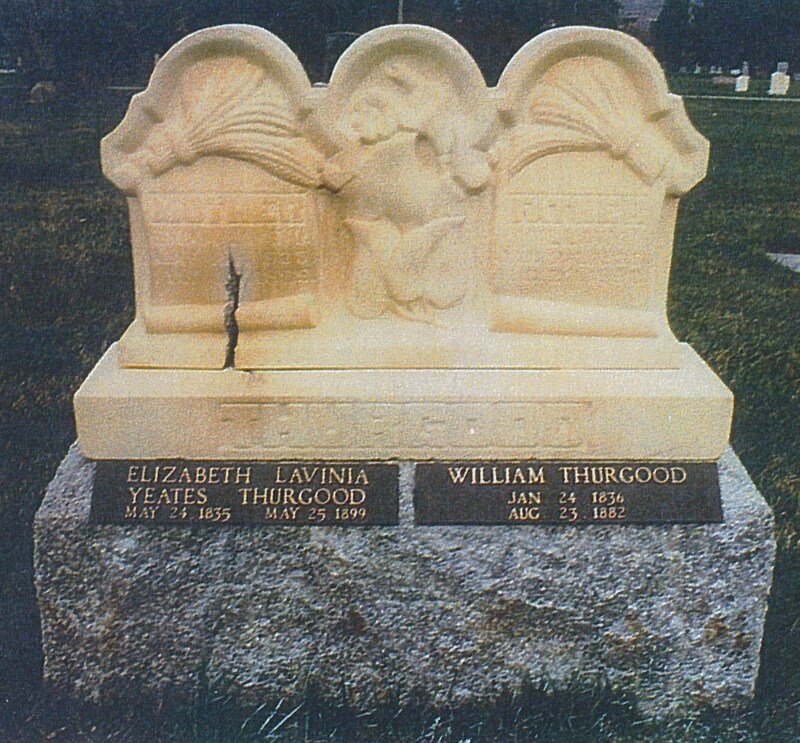 William Thurgood and Elizabeth Emma Lavinia Yeates Thurgood Gravestone located in the Bountiful City Cemetery. Thank you so much for excellent website on the Thurgood family. I am a direct descendant of Joseph Angus Willey (not Willie) and Amy Maud Thurgood through their son Rufus Call or R. C. Willey (furniture store founder in Syracuse, Utah). RE: Photo of Emma and her children. Daughter Amy married Joseph (No Middle Name) Willey (not Willie as spelled). Joseph and Amy had 11 children; Joseph Angus, Lavina Maude, William Owen, Leo Edward, Rita, Gertrude, Rufus Call (RC), Verna Mae, Rudell Thurgood, Marion, and Mary (still born). Joseph Angus was not R.C.’s father, rather he was his brother. 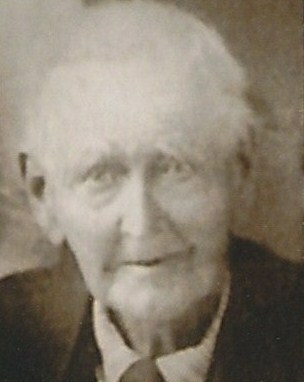 Joseph Richard Willey, Great Grandson of Amy and Joseph Willey and Grandson of Joseph Angus Willey. Be aware there are some conflicts with dates in some of William’s and Emma’s life sketches on this and Emma’s page. A. The year of William’s arrival in Utah is cited in one sketch to be 1853. Yet the letter he wrote to President George Q. Cannon prior to leaving England for the United States and Utah is dated May 5, 1863. The 1863 departure date is consistent with his Sep marriage to Emma in Davis County, UT. B. His bio cites the date of his marriage to Emma as 15 Sep 1863. In the following sketch it is cited as 13 July 1865. A. The first Life Sketch contains similar conflicts in dates as found in William’s sketches. B. Dates cited in the second sketch are consistent with the May 1863 departure from England and Sept 1863 marriage in Utah. Joseph Richard Willey Great grandson of William and Emma and Grandson of their son Joseph Angus Willey. My mother, Louisa Thurgood Scoffield, had in her possession William Thurgood’s diaries from his missions in England and some of his later ones after coming to Utah. The diaries of his immigration are missing or tucked away in some relative’s attic as my mother never could find where they were. Before her passing she donated the diaries to the Church History Library and they are stored in their vaults. Copies of those diaries are available for reading in the Church History Library. My mother made extensive copies and made notes on the copies of events in William’s life. I have the book of her notes. I also have a transcription of the entire 1862 diary made by a cousin whose name I failed to record.